Categories: Beverage, Uncategorized | Tags: Behavior, Children, Ginger, Honey, Lemon, parenting, Recipes, Talking, Tantrums, Tea, Tea Time, Tisane | Permalink. Sticky Toffee Pudding, or “Sticky Date Pudding,” as some call it, is one of my all-time favorite desserts. And, as you might have noticed, I am enchanted by all things citrus. I started dreaming up a new pancake recipe, and this is what I came up with through some delicious experiments in the kitchen. It’s a sticky date pancake, moist and sweetly spiced with cinnamon, allspice & cloves, with a bright blood-orange and honey syrup and segmented oranges to drizzle over the top. This one is certainly a new favorite in our house; we swooned at the aromas as the pancakes cooked, we oohed and aahed over each warm batch, we licked our plates clean and wanted more. I hope you add this to your repertoire of special breakfasts and enjoy it as much as we did! Categories: Breakfast | Tags: Allspice, Blood Orange, breakfast, Cinnamon, Cloves, Dates, Greek yogurt, Honey, medjoul, orange, Pancakes, Pudding, Sticky Date, Toffee, Zest | Permalink. Categories: Dessert, Uncategorized | Tags: Custard, Honey, Ice cream, Salted, Sea salt | Permalink. Categories: Dessert, Kids, Uncategorized | Tags: 1000, Apple, Blackberry, blog, Cinnamon, first month, Food photography, Galette, Ginger, Honey, how many hits, starting a blog, WordPress, Yogurt | Permalink. 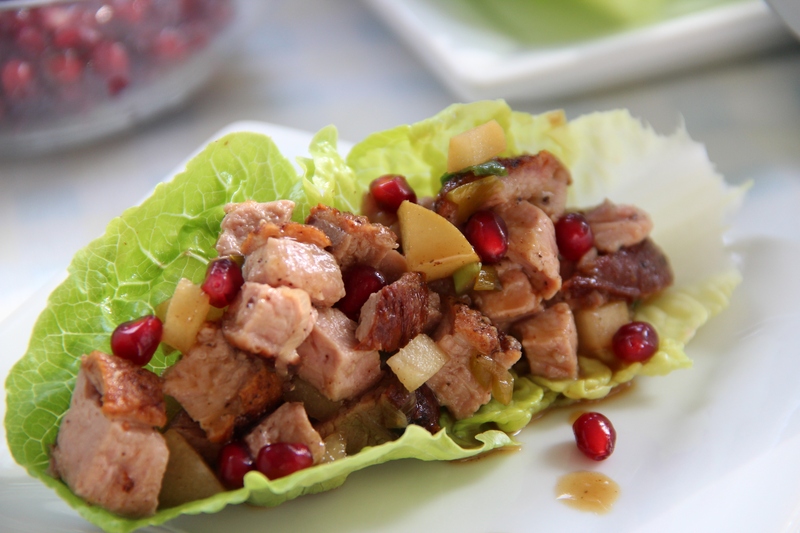 Categories: Date Night, Dinner, Uncategorized | Tags: Cinnamon, Clove, Duck, Honey, Lettuce Wrap, Love, orange, Pear, Pinot Noir, Pomegranate, Star Anise | Permalink. 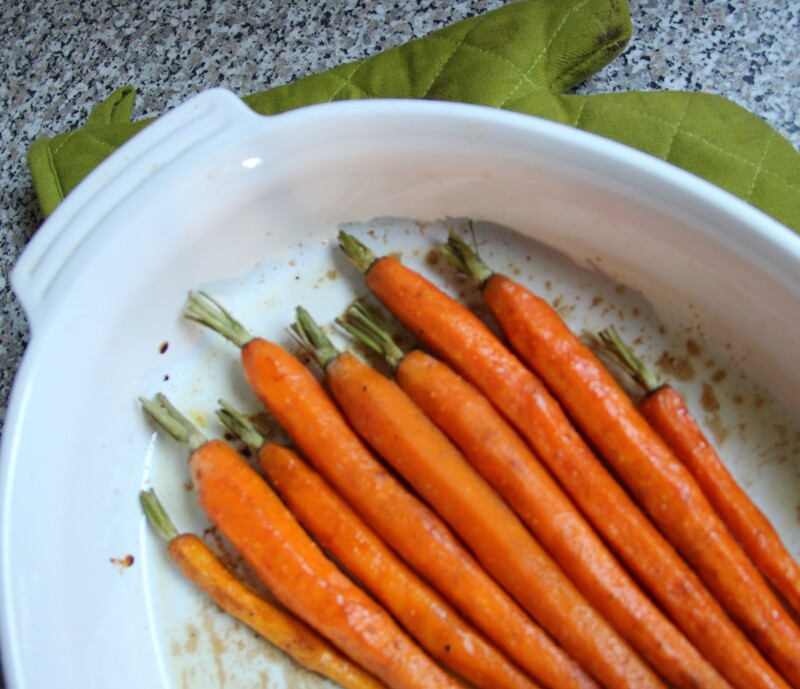 Categories: Dinner, Kids, Side Dish, Uncategorized | Tags: Baby carrot, Carrot, coriander, Honey, Side dish | Permalink.